Super Bowl Sunday is still 11 days away but many are preparing for home parties and get togethers in which food is just as important as football. Much of the food that will be consumed before, during and even after the game tends to be pretty high in calories yet few of us give much thought to that while “chowing down” on Super Sunday. Charles Stuart Platkin, founder of DietDetective.com has come out with some exercise equivalents for some of the food we’ll be snacking on. • One pint of Ben & Jerry’s Chubby Hubby Ice Cream= Cleaning the stadium after the game for almost 5 ½ hours. Minutes of a football practice. to “The Who” during the halftime show for 8 ½ minutes. • 8 potato chips with dip= Biking to the game from about 18 miles. • Two handfuls of potato chips= Running 45 football fields. By the way DietDetective.com says to keep in mind that we all have daily caloric budgets and it’s only after using your daily budget that the exercise equivalent kicks in. The idea behind all of this is to let you know there are plenty of alternatives in which you can reduce calories and still enjoy the game. If you watched Sunday’s conference championship football games on TV you clearly were not alone. The Jets-Colts game was the highest-rated AFC Championship game since 1986 while the Saints-Vikings overtime clash was the highest-rated NFC title game since 1981 when the 49ers beat the Cowboys on Dwight Clark’s last-minute touchdown reception. Central Regional High School bowling Coach Ron Donnerstag has put together a county-wide tournament to benefit the Monmouth-Ocean Food Bank. The 2010 Ocean County Team Challenge will be held on Tuesday, February 2nd at Ocean Lanes in Lakewood and will feature teams of five bowlers rolling five Baker games. In addition to proceeds from the one-day tournament going to the food bank there is also a “Food to Spare” Drive going on at Ocean Lanes from now until February 14th. Spectators planning to attend next Tuesday’s tournament are being asked to bring canned or non-perishable items as their admission charge. For more information you can contact Ron Donnerstag at Central Regional at (732) 269-1100, ext. 234. Matawan High School football coach Joe Martucci will be among those honored during the Nike Coach of the Year Clinic at the Tropicana in Atlantic City which is set for February 4-6. Martucci, who guided the Huskies to a state sectional title in December, is one of four coaches from New Jersey being saluted during the Coaches Tribute Luncheon. For information on attending the clinic or luncheon you can call Lacey coach and clinic director Lou Vircillo at (609) 709-5303. Got to spend some quality time with the big boss last night and Lakewood BlueClaws General Manager Geoff Brown. We took in the Princeton-Connecticut ice hockey game at Princeton’s famed Hoby Baker Rink which is just a great experience. It was made all that much better by first stopping for pizza at Conte’s in Princeton which was like going back in time about thirty years. Good company and a good time. The subject of today’s “Hometown View” was not something I was planning on talking about just yet but since it’s in the Asbury Park Press I sort of feel I must address it. For the last couple of weeks I have heard rumblings that Warren Wolf might return to coaching football at Lakewood High School and truthfully I was hoping it was just a rumor. However late last week it was apparent this was more than just a rumor and now the word is out that Wolf will be recommended to the Board of Education Wednesday night as the replacement for Vinnie Currao, who stepped down after two winless seasons. I saw Coach Wolf at several games last fall and he especially liked to follow the fortunes of teams coached by former players like Tim Osborn at Jackson Liberty and Dan Duddy at Monsignor Donovan. Word was he was bored and wanted back in and I’ve been told he was offered assistant coaching spots but was looking to run his own program. Enter Lakewood High School, whose program has reached rock bottom with little success and even less interest. The Piners have lost their last 27 games and have not had a winning season since 2001 and some have wondered if the school was considering dropping the program. Nobody has been more supportive of Warren Wolf than I….as a matter of fact I was the Master of Ceremonies at a dinner last winter honoring him in Atlantic City. I fear this return to coaching will not end well and like others close to him are worried about his health. But I’ll also be interested to see what happens….Lakewood opens at Holmdel in September. a day the bank would be closed. Going back to my original question how many of you can name the Legal Federal Holidays? I’ll give you a hint….there are ten of them. which happens on January 20th after a Presidential Election. The next year for this would be 2013 but since January 20th will be a Sunday that year the observance will on January 21st. “In the Navy” was a popular song by the group “Village People” more than thirty years ago and it’s also where Toms River East football standout Nico Steriti is heading. The Shore Sports Network’s Ocean County Player of the Year has verbally accepted an offer to attend the Naval Academy in Annapolis, Maryland and play football for the Midshipmen. Steriti visited the school with his parents last weekend before making a decision and he is expected to sign a National Letter of Intent at High School East on Wednesday, February 3rd. Nico is best known for his offensive exploits as he ran for more than 1,600 yards this past season and scored 28 touchdowns but he is also a standout defensive back and many feel that’s what he’ll play in college. Navy is coming off a 10-4 season that included a 35-13 rout of Missouri in the Texas Bowl earlier this month. The Mids 2010 schedule includes an October visit to the Meadowlands to play Notre Dame. There was a very touching note to last weekends Ocean County Boys Swimming Championships. In what was described as the most exciting race of the meet, Toms River North junior Greg Hirtes swam the race of his life to win the 100 butterfly by 1/10th of a second. What was truly amazing was that Hirtes was swimming with a very heavy heart as his mother had passed away just three days earlier after a rather short battle with cancer. Maureen Hirtes was just 43 years old and the mother of 11 children (6 boys and 5 girls) ranging in age from 18 to just five months. One of her final wishes was that Greg continue to swim and his victory was celebrated and appreciated by not only his competitors but everyone in attendance at the Ocean County YMCA. For all its imperfections sports does often provide moments and memories that are rather unforgettable and Greg Hirtes performance was a lasting tribute to his mother. In a game that will likely going a long way towards deciding the Class B South Boys Basketball championship Lakewood will visit Monsignor Donovan tomorrow night….you can hear it on our Shore Sports Network, including 1160AM. The Piners lost their division opener but have won four straight in “B South” while the Griffins are a perfect 4-0. The atmosphere at Gepp Gym should be crazy where “The Pit” will be very much alive. Tipoff is at 6:30pm. One of the things I’ve talked about on many occasions is the differences between men and women. It seems that often we try to think of the two sexes as the same and while that may be true in some instances there are really stark differences, especially when it comes to the daily routine stuff. Of course this is my observation and I’m speaking in general terms….I know this is not always true for everyone else. Take for instance the seemingly simple task of waking up in the morning and getting ready to leave for work. Since this is a first-hand example and took place this morning it’s pretty fresh on my mind. The alarm in my house is set for 3:33AM but it’s not the last bit unusual for my wife to wake up even before the alarm goes off. I on the other hand am usually in a complete coma until the radio starts playing and even then have a tough time getting out of bed. Part of that is due to the fact that usually I’m up watching TV until around 11 o’clock while my wife has called it a night at least a couple of hours earlier. For most of the last year I have been getting up closer to 4:30 and by that time Jane had already showered, picked her clothes out and ironed, probably put a load of laundry on and cleaned the house. However only recently have I begun getting up earlier and it clearly is not meshing well with her routine. For me it’s a matter of rolling out of bed, brushing my teeth, taking a shower, getting dressed and leaving. That entire process usually takes between 30-45 minutes because honestly I am only taking care of myself. My wife needs two hours from the time she gets up until she leaves for work and while at times I scratch my head over that the truth is she’s on the move the entire time. The bottom line seems to be we can’t get up at the same time so one of us is probably going to need to make a move and you know who that will be. Jane reminded me this morning that I used to wake up at 2:30 and then get her up as I was leaving the house and it worked well for both of us….of course it means less sleep for me. More in future reports. Thank goodness for the last of the four NFL wild-card playoff games played this weekend as it was the only one that provided any real drama or excitement. The Cardinals outlasted the Packers in overtime 51-45 in the highest scoring playoff game of all time to join the Ravens, Cowboys and Jets as weekend winners. The Jets will play in San Diego in the late game this coming Sunday and it can be heard on the Shore Sports Network, including 1160AM. My wife and I got to the movies for the first time in a while this weekend and saw “It’s Complicated” with Meryl Streep and Alec Baldwin which we really enjoyed. I have never been a big Baldwin fan but he is very funny and the movie will surely leave you laughing. Congratulations to the Toms River South Boys and Toms River North Girls for winning the Ocean County Swimming Championships over the weekend. In Sunday’s girl’s event at the Ocean County YMCA Freshman Sara Beers won two individual events and anchored the winning 400-yard freestyle relay team as the Mariners slipped by Monsignor Donovan. The Griffins Ashley Conroy and Toms River South’s Rachel Zucco also won a pair of individual titles. In Saturday’s boys meet the Indians rolled to their second title in three years by winning two relay events and getting an individual victory from Anthony Cusmano. Central freshman Evan Mahoney and Jackson Memorial’s Connor Murphy were double winners. Friday was just another reminder that I’ve been around for a long time. Monsignor Donovan’s Jake Martin was our player of the game in the Griffins win over Point Boro which we broadcast from the Ritacco Center. I’ve know Jake’s father Brian since he was a young boy and his grandfather is Dave Wintrode from the Causeway Family of Dealerships in Manahawkin. Former Ocean County College President Milton Shaw passed away over the weekend. Shaw, a resident of Marlton, was at OCC from 1982-2000…he was 82 years old. A little of this and a little of that heading into what will be a very cold weekend. Despite that it’s time to get your Christmas decorations down and put away as the holidays are over. I don’t know if people keep them up because they like the spirit of the season or just can’t face the thought of the work involved. So have you noticed that gas prices have been rising? The average cost of a gallon of gasoline in the shore area is about a dollar more than it was at this time a year ago. That’s right…in early January of last year we were paying about $1.50 a gallon for gas although those prices pretty much rose for the remainder of 2009. What we are now paying is the highest gas has been in about 15 months and of course nobody really knows what’s in store for the future. So if I told you in September that two of the three local pro football teams would make the playoffs how many of you would have guessed the Giants would be the one watching the post-season on TV. Of course not too many expect the Jets or Eagles to last long as both are underdogs this weekend. 92.7 WOBM and the Toms River Regional Schools will receive Pinnacle Leadership Philanthropic Awards during a luncheon on Thursday January 21st hosted by the Toms River-Ocean County Chamber of Commerce at Woodlake Country Club in Lakewood. The Pinnacle Award is given to past recipients of the Chamber’s Citizen or Organization of the Year Award who continue to be active in the community. 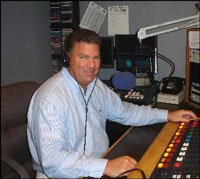 WOBM-FM was previously honored in 1994 and while much has changed we strive to live up to the image of Ocean County’s Hometown station. We are especially honored to share the program with Mike Ritacco and the school district as we’ve worked closely with them over the years on a number of events. To attend the luncheon call the Chamber office at (732) 349-0220. It’s been just over a week since the Jackson Memorial Boys Basketball team completed a rather surprising run by winning the 26th Annual WOBM Christmas Classic for the first time since 1997. The Jaguars championship game victory over Brick Memorial came just a few hours after Rumson-Fair Haven won the girls title for the sixth time in eight years by beating Southern Regional. Because I’ve been out for a few days today is my first chance to talk just briefly about the latest edition of the High School basketball tournament we run every December. The big snowstorm over the weekend of December 19-20 made for some challenging times but thanks to a lot of cooperation, especially from the Toms River Regional School District we were able to get things back on track. For the most part the 7-day, 54-game event went very smoothly with quite a few surprises on the boys side while form pretty much held up for the girls teams. Jackson because the lowest seed to ever claim a title as the 10th seeded Jaguars, led by MVP Jimmy McDonald knocked off four higher-seeded teams on their way to winning the WOBM Classic for the third time in school history. for making our hospitality room a desirable place for coaches, sponsors and staff. Speaking of the staff there were about 20 people who spent most if not all of the 7 days doing everything from selling tickets to operating the clock. I can’t name them all but I do offer special thanks to my “front office” of Joe Arminio, Jim Hibbs, Ed Sarluca and Paul Barnoski for all the 12-hour plus days. Here’s hoping we do it all again in say 344 days.